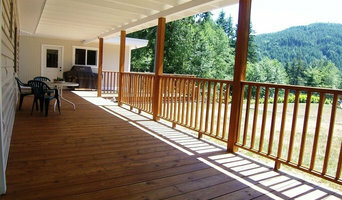 We are a home Renovation business that cares about what the customer wants and needs. Billy Daher's carpentry has been developed from nearly 20 years of designing, construction, and finishing in both commercial and residential projects all over Canada. As a project manager for some of the top developers in western Canada, he has overseen luxury condo construction and finishing for the past 4 years. Most recently, Century Park on the South Side. Does the word Luxury get you thinking his services are out of reach? Think again. His low hourly rate stays the same, so cost only reflects the value of materials, NOT time. Also - understand what sets BD Contracting apart from all others: If you want renovations, furniture restoration, painting, flooring, decks.... anything! It's all found through BD. Not having to hire several contractors saves you a LOT of money. The Team Vancorp Constructions is a home renovating company with 35 years of renovation experience; Vancorp Construction, the Edmonton Company is affordable, reliable, and provides high end residential renovations. Focusing in helping homeowners make valuable investments in an increasingly competitive economy. The mission is to create dream homes that optimize home function while looking impressively constructed. Goals To affordably renovate homes saving homeowners money from doing it themselves To renovate homes in a reasonable amount of time To provide top service and construction To reduce the headaches of home renovations for home owners To reduce monthly costs by creating energy efficient homes To create the dreams of Edmontonians To leave Edmontonians with a lasting impact To make Edmonton communities happier and stronger If the company sounds like a good fit for you, email or call us to request a free home consultation. We will gladly assist you in creating the home of your dreams. Serving Edmonton and Area for over 18 yrs. We specialize in full home renovations, design, kitchens, bathrooms, small spaces, basement developments, additions, sunrooms, windows, siding and complete interior and exterior renovations. We pride ourselves in being able to turn your vision into reality and handshakes into hugs. We can take your project from concept to design and completion handling every aspect of the renovation for you from residential to multifamily. 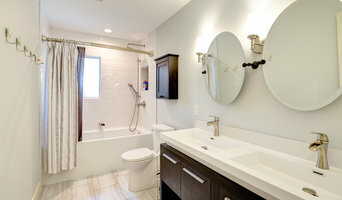 Give us a call to talk about your renovation needs. Revive Contracting was founded in Edmonton, Alberta in 2007 with a focus on improving the renovation experience. 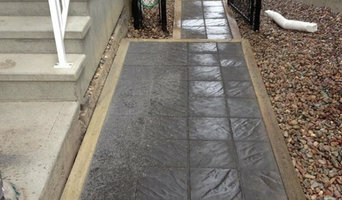 Recently, the company merged with Greenway Landscaping to provide a greater range of services for prospective clients. Revive strives to maintain absolute personal commitment and involvement with their clients in order to provide them with a better renovation experience, as well as, a better end result. A main focus is building relationships and trust and in furthering a reputation of honesty, quality and professionalism. For landscaping services, please call 780-719-3933! A.W. Slemko Builders was started in 1981by Al Slemko. Al first worked in planning and land development in the city of Edmonton after completing a business degree at the University of Alberta. In 1981, Al decided to start a business and pursue his desire to creatively build things of high quality at a standard people would appreciate. He worked as a one man team for many years relying on word of mouth referrals. Al has grown the business to what it is today, a thriving company with a strong team of people. Not only does Al enjoy his work he also is very active in the community. We focus on serving the complete construction needs from the ground up for residential customers. 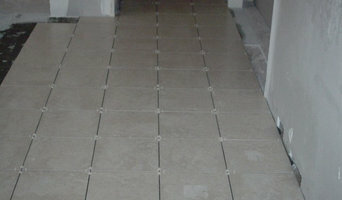 We employ tradesman and other professionals to provide the highest quality of workmanship in our projects. Service to our Clients in the areas of communication, accountability, respect and efficiency are the cornerstones of our business. Westerly Homes is a custom home builder and renovation company, focusing on high-end quality construction. We can transform your personal home design into your dream home, as well as offer a range of pre-design custom home plans to choose from. We handle any interior, exterior, or small commercial renovations using top-quality workmanship and expertise. As a smaller company, we put immense care into our client relationships because it is important to us that our customers find great satisfactory with the final product and budget. Built-to-code standards, reliability, and finishing within the time frame are fundamental values we strive to achieve. www.ergobuilders.com For over 15 years, we have provided our clients with innovative general contracting skills to get their projects off the ground. 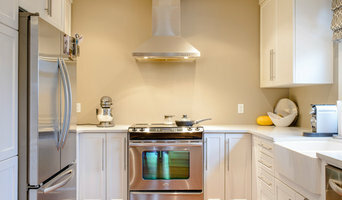 From custom homes and additions, to basement developments and kitchen/bath renos. At Glasforge we provide general contracting services to the greater Edmonton area. We consist of two passionate red seal journeyman carpenters, Shane and Chad, and a highly skilled team of trade partners dedicated to each project. Our expertise and success is credited to some of the best mentors in the industry for construction and renovation. As a company, we are always learning and eager to apply new techniques and technology to an industry that is changing each and every day. We feel their is a need today for companies to be accountable for everything they say as well as what they do. Home building is at the forefront of this mentality. Aside from the large amount of natural resources required to build a home, that structure needs to preform because it will continue to consume through its entire existence 'Cradle to Grave.' 50-100 years is what should be expected and is what we strive to accomplish. So whether you are building new or renovating 'quality is in the things you don't see'.